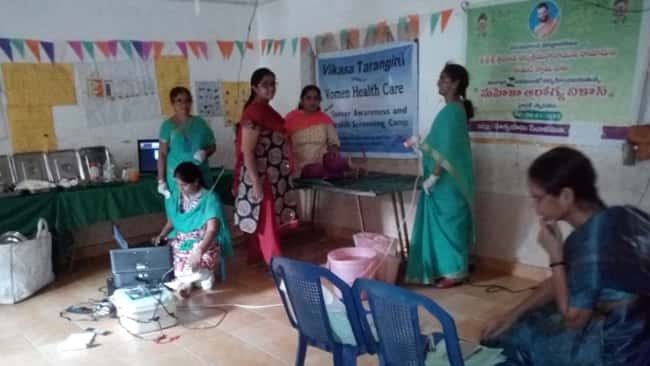 Mahila arogya vikas conducted a Mahila camp(women health camp) at parakal (Warangal district) on 7th October 2018 with cooperation of Dr. B.veena MD, Warangal vikasa tarangini volunteers & Dr.p.vijaypal Reddy. VIA Test done for 86 ladies. Repeat via test to be done for 9 cases on 11th October 2018. medicines provided for the needy. all these camps are conducted with our swamiji’s kind blessings.